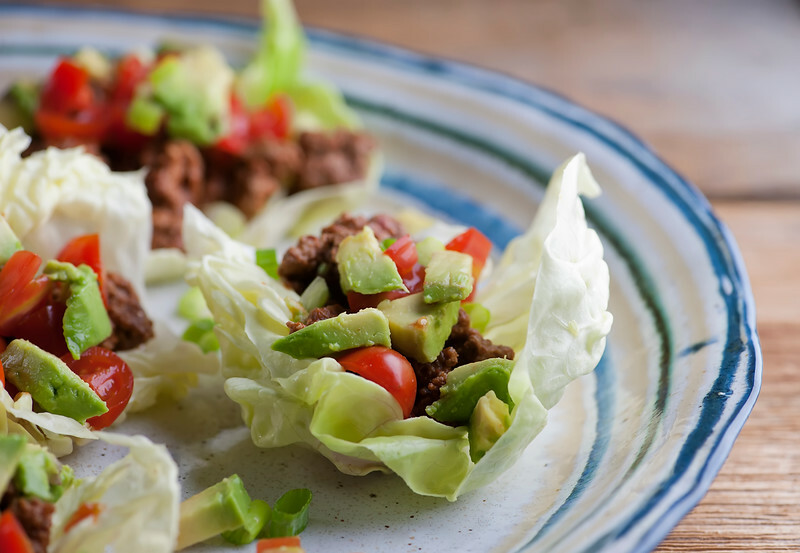 Have your taco and eat it too with this recipe for a light version…lettuce wrap tacos! All the deliciousness of a soft taco with all the healthiness of a lettuce wrap. I love this easy recipe for lettuce wrap tacos any time of year, but around this time of year it becomes an Actual Necessity in my house. More on that in a little bit, but as you can probably see from the picture, this is quick and easy and light version of tacos that features your favorite spicy, drippy, delicious taco meat, but instead of taco shells it’s nestled in bright crunchy lettuce leaves. Some sweet cherry tomatoes, some chopped scallions for a little bite and of course a generous handful of buttery avocado, and you are in healthy taco heaven. Let’s make it! So why this time of year more than others? Well, because this just went up in my house. 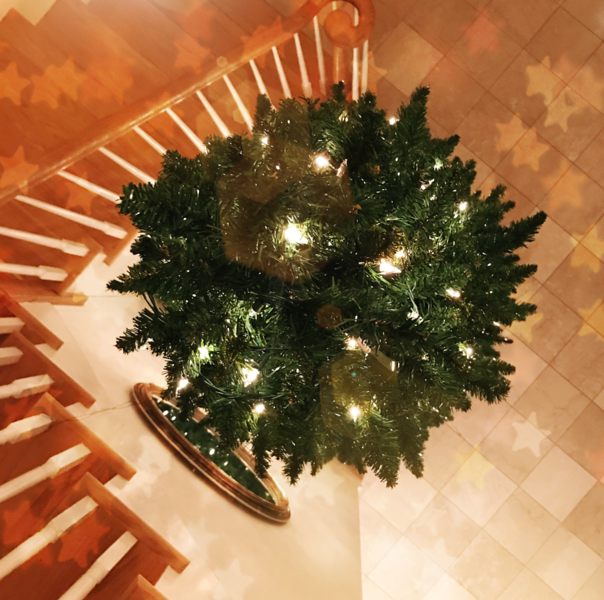 I love taking top-down pictures of my Christmas tree. For no particular reason. I also love it just like this, with only lights on it, but soon certain people will be coming home for the holidays and will insist that we put the decorations on, and they will volunteer to do all of it which I will gladly let them do, and on December 26th they will vanish in a flurry of jingle bells and there I will be un-decorating all by my lonesome self. Which I secretly don’t mind. 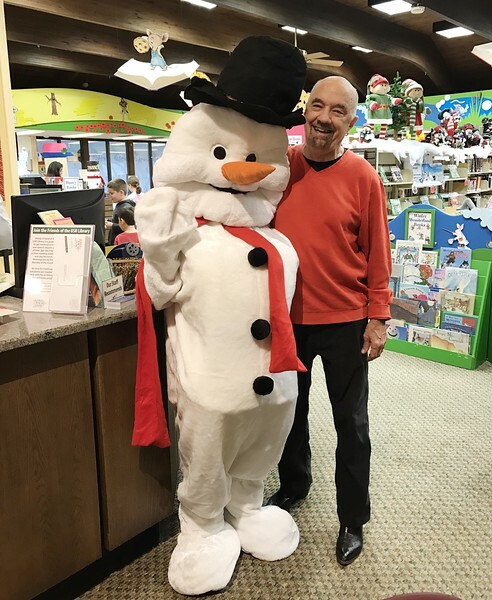 Anyway, tis the season of holiday festivities, such as this past weekend annual holiday party at our local small town library. 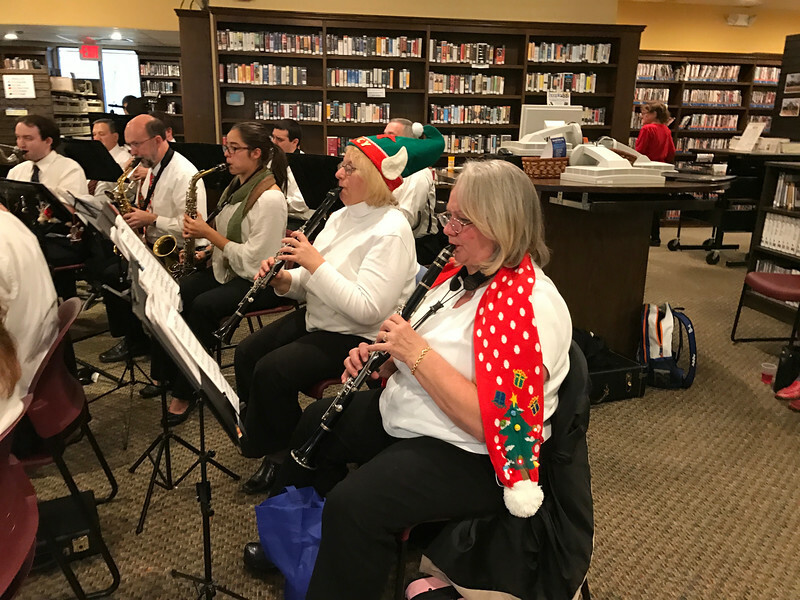 We had the New Jersey Concert Band playing for us…we LOVE them. The Southern husband made a new friend. And I was one of the Cookie Bake-Off judges. I promise I am trying my darnedest to get us that Easy Pecan Bar recipe. I may have had to test it several times during the judging. Just to be sure. Cough-cough. 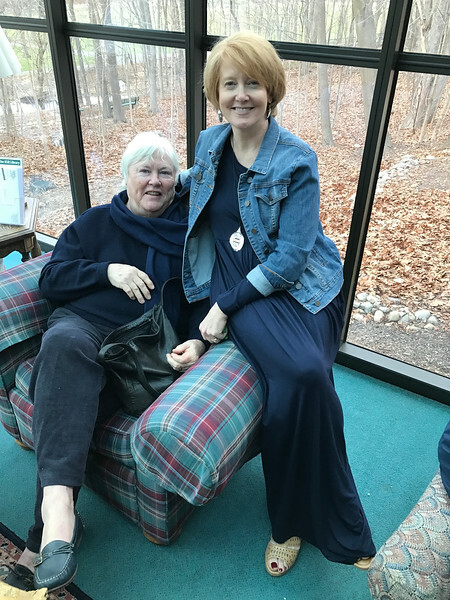 Here I am post-judging with my mama. Note that I am wearing a dress with a forgiving waistline. Which brings me to the necessity of these lettuce wrap tacos in December, because in between holiday parties and dinners and general hilarity and taste-testing, the Southern husband and I cling desperately to our Whole 30 menu in an effort to make it to January with our waistlines somewhat intact. Or at least within 5 pounds of intact. Hey, Christmas comes but once a year, right? Anyway. This easy recipe simply entails cooking up a batch of spicy taco meat – you can use regular package taco spices, or you can make your own mixture which I what I do – click here for that recipe. It’s super easy and makes enough for you to have some to keep in your spice cupboard for the next time you make tacos. Then instead of spooning it into taco shells or tortillas, I swap those out for lettuce leaves. You want to pick a butter or Boston Bibb lettuce that has leaves that are a little pliable and are conveniently shaped like little cups. We pretend that cheese and sour cream don’t exist in the world, and instead top our tacos with sweet chopped cherry tomatoes, chopped avocado or homemade guacamole, and some chopped scallions for a little sass. Look at all that cheery red and green! It’s like Santa is telling us to eat lettuce wrap tacos! So go ahead and enjoy your holiday cookies and eggnog fudge and have that second glass of wine…just sprinkle some lettuce wrap tacos in with all that, and we will come out the other side with a good amount of nice sprinkled in with our naughty! 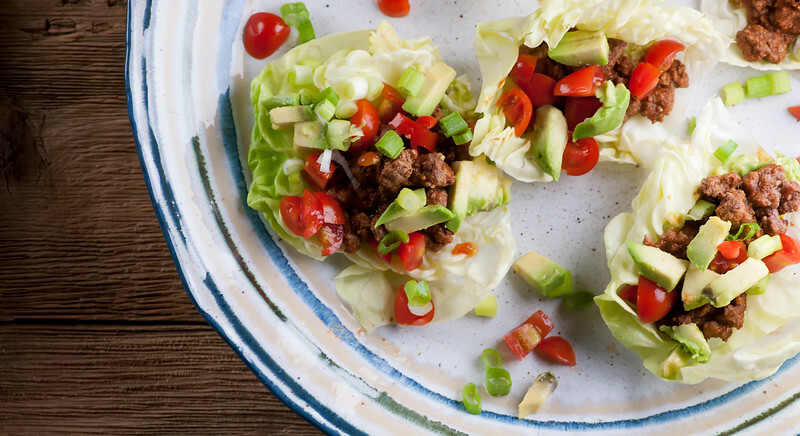 Have your taco and eat it too with this recipe for a light version…lettuce wrap tacos! Cook the beef in a large skillet over medium high heat until browned. Add taco spices and 1/2 cup of water and simmer for 5 minutes. Stir in tomato paste. Spoon taco meat into lettuce leaves. Top with tomatoes, scallions and avocados and serve! Love these! they’re adorable of course (this matters a lot to me) but I love the flavor and texture contrast you’ve attained here. Awesome. Your Christmas tree is gorgeous, Kate! I love the top down picture. And these lettuce wraps…YUM!! I could eat tacos every day, so I love this healthier version! Thanks Gayle – I do love Christmas tree season! I tried it last night with ground turkey it was the bomb!!! !